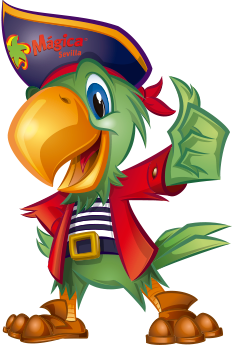 This personal data protection policy will apply to all users of the Parque Isla Mágica, S.A. website, and to any individual supplying his/her individual data to Parque Isla Mágica, S.A. through any of the channels provided for it (website, post, e-mail, telephone). The controller of user personal data is Parque Isla Mágica, S.A., which operates under the brand Isla Mágica, with registered address in Avenida de los Descubrimientos s/n 41092 Isla de la Cartuja – Seville. 1. Processing of information requests by users. Personal data of individuals requesting information through the channels provided by Isla Mágica (website, post, e-mail, telephone, social media) will be processed with the only purpose of answering to such requests, within the legally established framework, and supplying the information requested using any of the aforementioned channels. Such personal data will be stored only during the time required to manage the request and any potential liability arising from it, after which they will be deleted. 2. Communication with users and client service. Personal data will be processed in order to establish an effective communication with users and related customers, using to this end any means available to Isla Mágica (website, postal address, telephone, e-mail, communications centre) and according to the Client Service regulations in force. Personal Data will be stored for the time strictly required to carry out such communication and to solve any potential incident that may occur, after which they will be deleted. 1. Management of staff recruitment processes. Personal data of job applicants and of any individual taking part in staff selection processes opened by Isla Mágica will be processed only for the selection of candidates and ulterior communication with them within the selection process. The data requested are mandatory in order to continue the process. Failure to communicate such data will result in inability to process the job demand. Personal data will be processed only within an open selection process and will be stored only until the staff recruitment process is completed, after which they will be deleted. 2. Online purchase of tickets. Personal data of ticket purchasers will be processed only to ensure a correct purchasing process and to communicate with data subjects. If such data are not supplied, the purchase process cannot be completed. After the purchase such data will be stored for the period required manage any potential liability, after which they will be deleted. 3. Purchase of season passes. Where individuals communicate their personal data for the purchase or renewal of their season passes, such data will be processed on for this purpose. The data requested are mandatory. Failure to communicate such data will result in ending the purchase or renewal process. After the purchase or renewal is completed such data will be stored for the period required manage any potential liability, after which they will be deleted. 4. Participants in contests through social media. 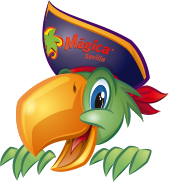 The personal data submitted by individuals through the social media where Isla Mágica is present will be processed for the only purpose of communicating the information requested and managing the contests or promotions organized by Isla Mágica. Such processing includes the publication of the personal data of winners (full name and image) in the social media or other media where Isla Mágica is present and has an official profile. 5. Organization of events, visits and groups. Personal data communicated for the organization of events, arrangement of visits and organization of group visits will be processed only for this purpose. The personal data requested are mandatory to organize any such activity. Failure to communicate such data will result in inability to process the request. Once the data are not anymore required, they will be stored for the period required manage any potential liability, after which they will be deleted. 6. Sending of newsletters and news bulletins. Personal data of subjects will be process for the purpose of sending information on Isla Mágica products, activities and services, as well as special offers and promotions that may be os interest for users. Sending such information will include conventional and electronic means. Once the data have been processed, they will be deleted. Processing of personal data by Isla Mágica will take place only upon the free consent of the data subject, which must be explicitly granted though the channels established by Isla Mágica. To this regard, we inform that such consent may be withdrawn at any time. Such withdrawal must be communicated through the channels established for data subjects to exercise their rights. In the case of individuals under 16, consent for the processing of personal data must be granted by the legal guardian of the minor. Likewise, such consent can be withdrawn at any time. Users or data subjects must provide true, correct and updated information on their situation. Among the purposes listed above, no communication or transfer of personal data to any third party entity or organization is foreseen.